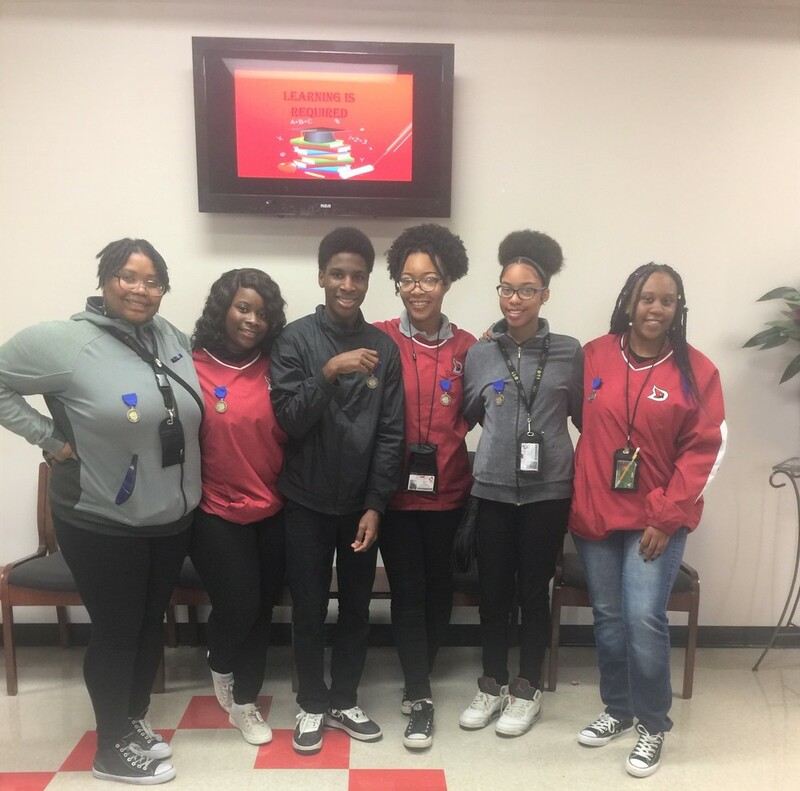 DHS Band students Laila` Baker, Cherri Graham, Tyrese Smith, Ladajah Green, Rikkiya Britten and Ladestiny Hawkins earned superior ratings at the Region III Solo and Ensemble event held at Star City High School April 4. Rikkiya earned two first place medals as she performed a clarinet solo and performed in the clarinet trio with Ladestiny Hawkins and Cherri Graham. Laila` performed a trumpet solo, Tyrese performed a snare solo and Ladajah performed a tuba solo. Congratulations students, we are so proud of you!! !